The Pira family is renowned for the excellent cellar worthy Barolos, and their Dolcettos [although usually known for their early drinking], have been proven to develop wonderfully with a couple of years under their belt. 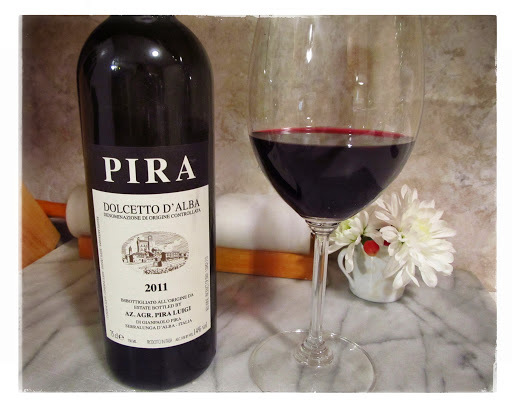 The Pira estate was founded in the 1950’s as an estate that sold grapes originally, then progressed to producing and selling wine in bulk to negociants. It was in the recent past that the estate began ageing and bottling its own wines, swiftly flourishing into a highly acclaimed producer of Barolo wines. Giampaolo has taken over the family’s 8-hectare estate and managing the cellars from his father, whilst his brothers maintain the vineyards. Their vineyards are located in 3 of the most prestigious crus in the Serralunga commune, which bestows added complexity and intensity on their Dolcetto wines. The Piras have always been passionate about respecting the environment, only natural products are used, organic methods are practiced and only the most minimal amounts of sulphur are added to the wines. Deep red-violet in colour, after aerating aromas of red current and blackberry jam on toast radiated from the glass. Red current, plum and pomegranate flavours abounded in the round, juicy medium body. Traces of chocolate and espresso comprised the velvety finish. Dense juicy fruit flavours along with a refreshing tartness make this an excellent companion at the table or sipping on its own.